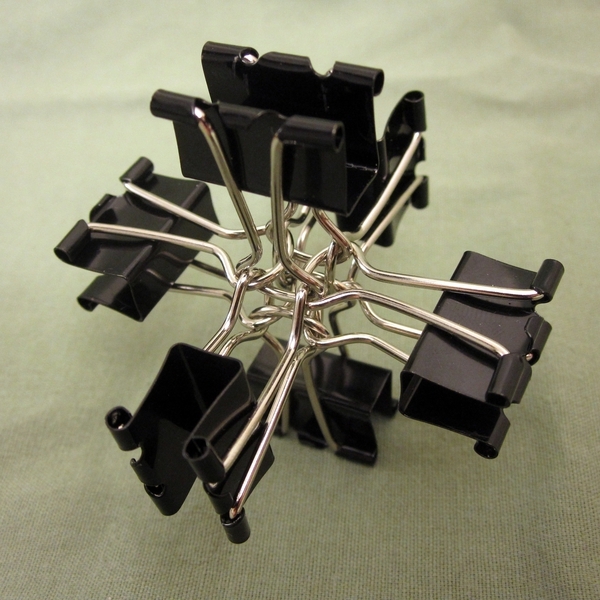 Binder clips are one of the office supplies that aren’t always appreciated for their mathematical possibilities. Where many people see little architectural potential, Zach Abel has been pushing forward the boundaries of binder clip assembly research and offers a number of novel constructions. Here are three. Start with this six-clip exercise in which the clips are positioned along the positive and negative XYZ axes and are each held open by the loops in the handles of their neighbors. Next, consider this open ball featuring twelve five-pointed stars and twenty hexagons. 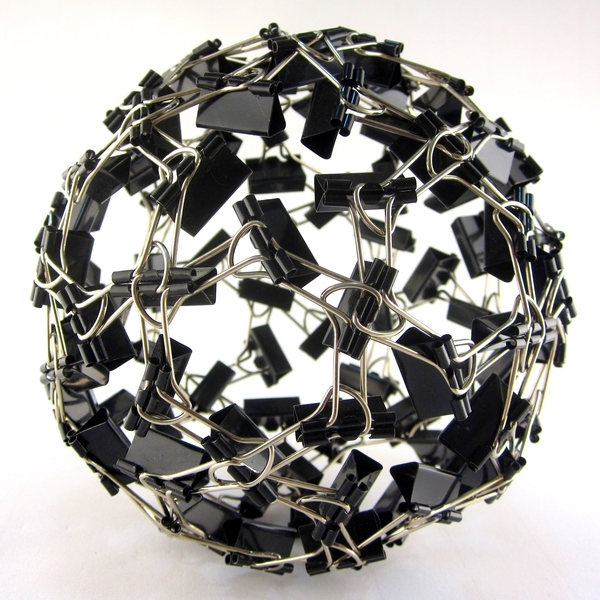 Its shape derives from a soccer ball, but there are stars instead of pentagons. A total of 120 clips are used to construct this, but sixty of them (at the concave points of the stars) have only one handle. 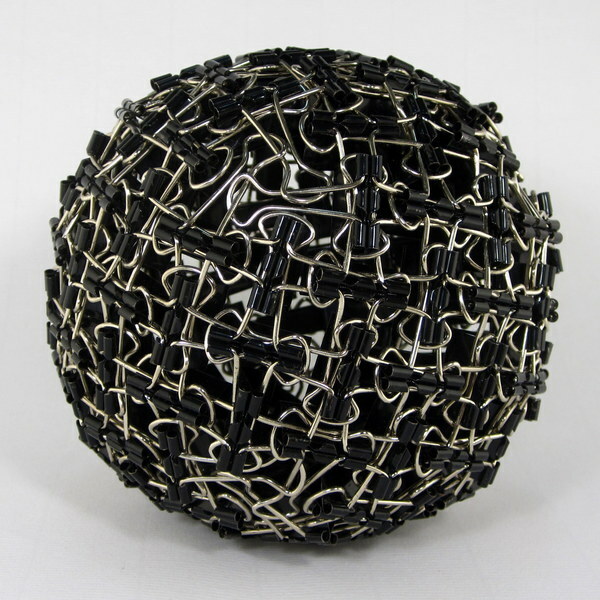 And for a maximum density spherical packing, check out this sturdy little ball made from 132 clips. The handles of each clip wrap around the bodies of their neighbors to make a regular weaving pattern. At the triangular openings (corresponding to the eight corners of a sphere) the handles lock in a cycle, as a nice touch. This article first appeared on Make: Online, December 19, 2011.